Since 1978, KidSport has remained Vail’s best specialty children shop. Offering the largest selection of “Everything Kids”, we have what you need: World class skiwear, clothes and unique gift and toys. Our friendly staff is trained and informed to help you meet your child’s needs. Just contact us and get great customer service! 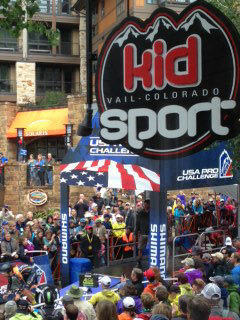 KidSport is located within the Village Center Shops, at 122 E. Meadow Dr., Vail, CO 81657. We are conveniently located across from Solaris and the Ice Rink near a family favorite...Pazzos Pizza! Please call 970-476-1666 for hours as hours of operations change throughout the year.